Many people who collect fountain pens sometimes have trouble using them as often as they would like. If you are not a student or in a profession that requires you to write very often, you might struggle to use your pens at all! In this series of articles I want to make some suggestions that should help you use your fountain pens more often. One of the most popular ways for many people to write on a regular basis is to keep a journal. Journals are great ways to keep track of events in your life that might otherwise be forgotten. I know that I’ve looked back on journals that I kept in college and fondly remembered what a different time in my life that was. Without the journals to look back on, I wouldn’t be able to remember nearly as much detail. There are many different types of journaling that you can do. The most common is probably writing down your thoughts and experiences on a regular basis. If you want the freedom to write as much or as little as you want, you can use a blank notebook. If the thought of sitting down with a blank notebook is too intimidating for you, you can always get a 3 or 5-year journal. 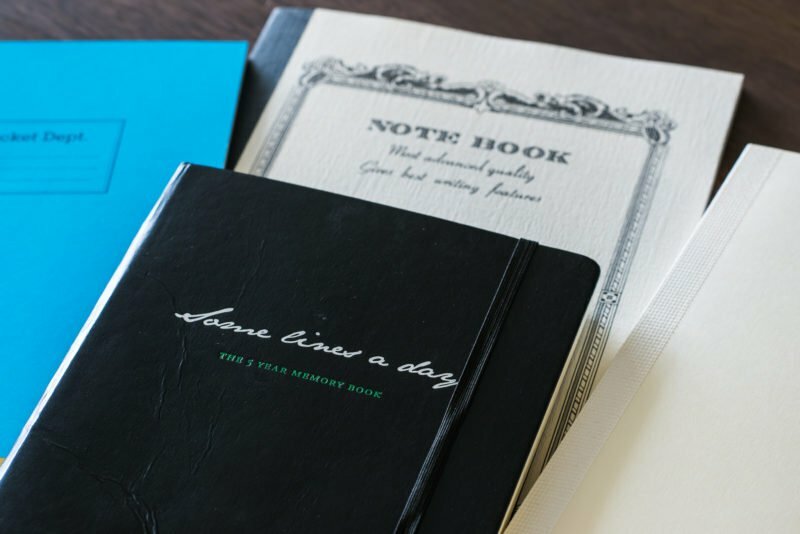 In these journals, you only write a few lines per day. The really neat thing is that you write on the same page each year for each day. This means that on any given day, you’ll eventually be able to look back on what you were doing the same day a few years ago. Books You Have Read: I started keeping a journal of books that I have read to help me remember which were my favorites from particular authors. While I don’t get to write in it on a regular basis, it is a nice treat to finish a book, pull out this journal and write my thoughts down. 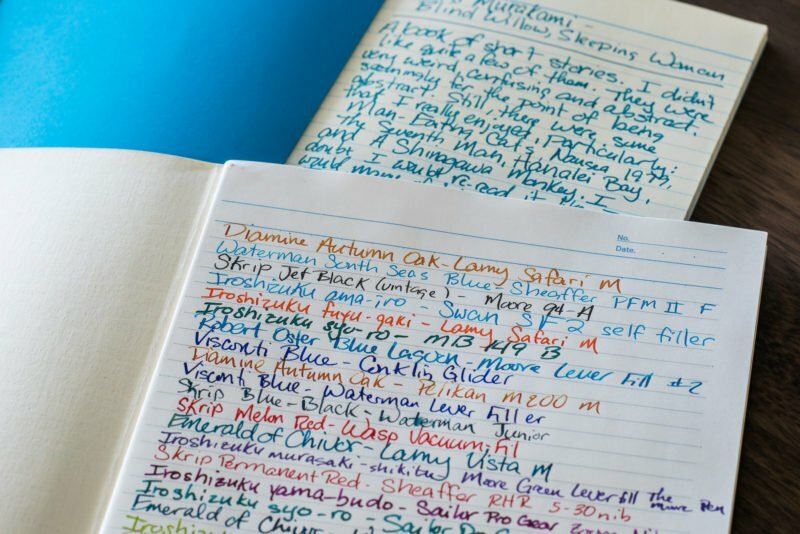 Pens You Have Inked: Keeping a journal of how different inks look in different pens can be very helpful. You don’t even have to write down your thoughts. Each entry can be as simple as the pen and ink you’re using. Thoughts and Experiences: Some people might enjoy having a place to write random thoughts or memories that they don’t want to forget. This journal can be written in a diary format (chronologically) or in a more random format of whichever memories come to you when you sit down to write. Writing in a journal can be a long-term commitment, so it’s important that you use a journal that you enjoy writing in. Personally, I have started journals in notebooks that I just happened to have laying around, only to realize that I don’t like the paper. This creates the dilemma of finishing up the journal even though I don’t enjoy writing in it or starting a new journal, which means I have to either transfer over everything I’ve already written or just leave it behind in a half-filled journal. 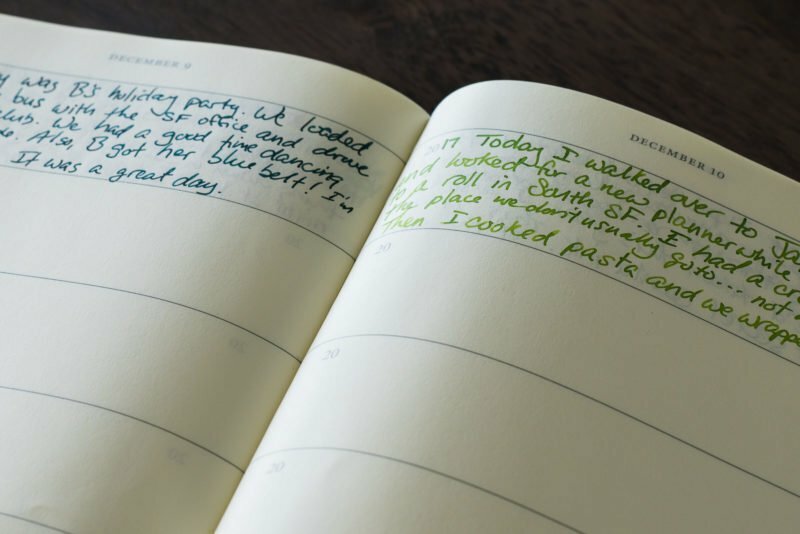 For my 5-year journal, I use the Leuchtturm Some Lines A Day journal. When I purchased it, I wasn’t aware that Midori also makes a Daily Diary. Although I do prefer Midori paper to Leuchtturm’s paper, I’m still happy to write in this journal at the end of each day. For my other journals, I simply purchase blank notebooks from various paper manufacturers. I like to have some variety in paper and size, so I try not to have duplicates. For example, my daily thoughts and experience journal is a Midori MD notebook, my inked pens journal is an Apica Notebook, and my book journal is a Life notebook. The most important part of writing in a journal is the enjoyment you get from using your pens. Journaling should not be something that you dread doing or feel obligated to do on a daily basis. Instead, it should be an opportunity for you to use your fountain pens and practice your writing. As you can see, there are many different types of journals that you can keep, so if you don’t want to force yourself to be creative or write down your thoughts and feelings, keep a journal of information such as a food journal or the different pen and ink combinations you use. Over time, you will find that you end up writing much more often if you keep a journal and eventually it will become second nature to write in it every day. 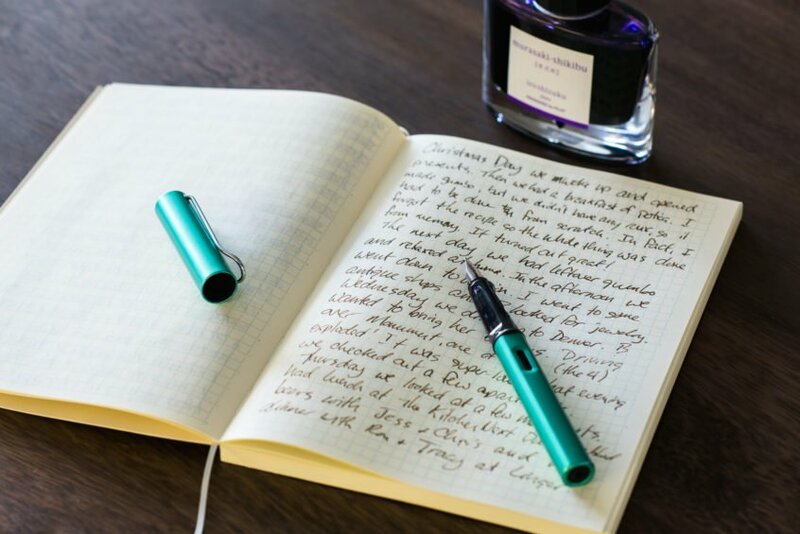 Here are even more suggestions for using your fountain pens more often. I love to journal. It keeps my writing more, but more importantly it is something I enjoy doing and then later (in months or years), I enjoy reading on my reflections and how much I’ve grown. I completely agree! It’s a great way to write, but an even better way to reflect. Thank you for reading!